Coronado Eye Care brings 40 years of experience treating vision and eyes to Imperial Beach, CA. Dr. Moffett and our team of eye doctors provide a full range of eye care services. We will check your eyes thoroughly during a comprehensive eye exam, as well as treat any condition that affects your eyes or eyesight. We use cutting-edge equipment and a progressive approach to ensure that you receive first-rate care for every eye disease, such as macular degeneration, glaucoma, cataracts and diabetic retinopathy. Our optometrists strive to serve every patient with personalized eye care. We will invest time and energy to become familiar with your health condition and lifestyle needs – and we aim to develop a lasting relationship with all our patients from San Diego County, including Imperial Beach. 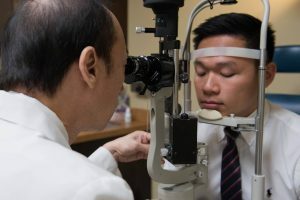 Our services include optical and medical eye care, ranging from management of ocular disease to being fit with new designer eyeglasses and premium contact lenses in Coronado. Call to schedule your appointment, or stop in anytime to look through our collection of eyeglasses and sunglasses. Walk-ins are welcome and it’s worth the short ride from Imperial Beach! Visitors have been journeying to Imperial Beach for years to take advantage of four miles of stunning beaches and glorious waves. This coastal town of South Bay is located just north of the Tijuana border. You can swim in the beaches, gaze at the majestic views, stroll along the shore and watch the surfers, or even go horseback riding along the beach. In fact, Imperial Beach is the only place in San Diego County that horseback riding is allowed. The Pier Plaza is also a great place to catch a bite to eat, with many outdoor cafes and seafood restaurants, such as the Tin Fish. The four colorful surfboard-shaped arches (16-20 feet tall) in the Imperial Beach Pier Plaza provide a great photo op! The Silver Strand State Beach is a local coastline with much to offer. Silver shells line the sand, along with kite-boarders and surfers. Surfing pros and fans will love to travel the road between 3rd Street and Seacoast Drive, in Imperial Beach – where there is a fantastic display of surfboard silhouettes mounted on the sidewalk as a timeline of surfing history. Another well-known attraction in Imperial Beach is the Tijuana Estuary Visitor Center, where you’ll be surrounded by birds, lizards, native plant life and all things of nature. Guided tours are available to take you through these peaceful grounds, if desired. The Border Field State Park also offers a great outdoor venue to enjoy nature and see magnificent landscape views of Imperial Beach. In the middle or at the end of your day in Imperial Beach, head to one of our delectable dining establishments! We suggest Katy’s Café for great sandwiches, SEA180 Coastal Tavern at Pier South Resort for refreshing cocktails and fresh fish, or I B Forum to experience the family-friendly atmosphere of a local hangout. You Need Sharp Vision for Your Visit! 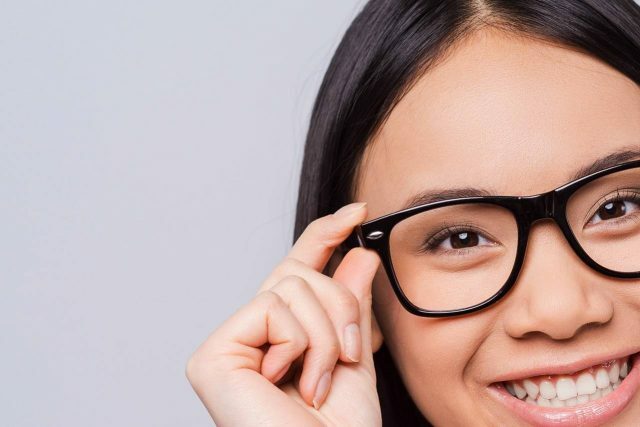 Remember – you need crystal-clear eyesight and healthy eyes to make the most of Imperial Beach and San Diego County, and our friendly eye doctors offer all the eye care services you need! We look forward to seeing you at Coronado Eye Care. Did you know we offer Eye Care Services at Coronado Eye Care?